Standard Rate : $80/hr (For First 4 hours), $35/hr for additional hours over 4 hours (Overnight $450, 24 Hour Acquisitions $750). Professional Time for Interpretation and Report Writing: $250 /hr. Standard 1H Analysis : $60 * (No analysis/interpretation of data/assuming sample not limited (>2 mg)). Standard 13C Analysis of Small Molecule: $206 * (No analysis/interpretation of data/assuming sample is not limited (>300 mg)). Quantitative 13C NMR (13C qNMR): $350-500* (High S/N acquired – Typically Overnight Analysis). 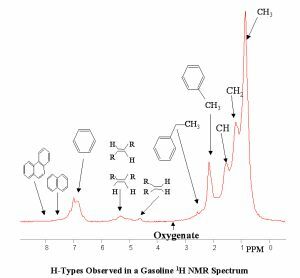 Quantitative 1H NMR with internal Standard (qNMR): $200 (small molecule purity), $200-400 (complex mixtures- multiple components). Multidimensional experiments charged for actual spectrometer time. Overnight Acquisitions – $450 24 Hour Acquisitions $750). Phospholipid – Raw Material Analysis – Krill Oil, Lecithin, Phosphatidylcholine, Phosphatidylserine – $350*, Finished Consumer Products $350-500*. Aloe Vera Analysis – ID Only = $175*, Powder Samples = $225*, Liquid Samples $320* (includes freeze drying), Finished Consumer Products $350-450*. Multinuclear and sample-limited experiments will be performed for a length of time that is agreed upon in advance. Beer, Wine, Cider – Alcoholic Beverage Analysis – Detailed quantitative fingerprint – Call for Details. Polysaccharide Analysis – Hydrolysis Method – Reverse Engineering Possible from Ratios of Monomeric Sugars – $275-500. Will include professional time component. NMR Identity Testing for REACH Registration – Call for Quote. All Other NMR Experiments – Call for Discussion and Quote. Please note that all individual experiments may be charged at higher rates if the samples are finished consumer products containing considerably lower concentrations of the active component being analyzed. In some cases we do not know the concentration of the analyte of interest and thus the time required for the experiment until the sample is analyzed. * Includes NMR Tube and Standard Deuterated Solvents (CDCl3, DMSO-d6, D2O, Acetone-d6). Other deuterated solvents are charged at cost. Additional Charges that May be Levied Depending on Project Listed Below. Consulting fees are charged at a rate of $250/hr or $1450/day, plus usual/customary expenses. (Initial discussions concerning a potential project are not considered consulting time). Established in 1997 Process NMR Associates, LLC (“PNA”) is an NMR services and consulting company dedicated to developing process NMR applications for online and at-line process NMR products as well as providing analytical NMR testing services to industry and academia. The markets currently targeted for process NMR development are the refining, petrochemical, pharmaceutical, and food industries. We will competitively discount any quote from a competing commercial NMR service. In other words, get a quote from another commercial NMR service and we will match their quote and reduce the cost by a further 5%. Are you a major corporate NMR facility that would like to free up instrument time by outsourcing routine NMR analysis? We can provide rapid turnaround outsourced NMR analysis that will allow your facility to concentrate on strategic development projects. Same Day Turnaround of 1H NMR Analysis Can be Performed Upon Request. We offer consulting and expert witness services – Process NMR Associates comprises a Ph.D. chemist with a combined experience of over 50 years in the NMR field applied specifically to the refining and petrochemical industries.